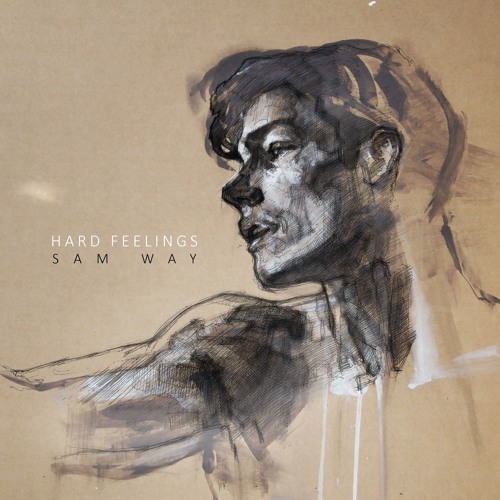 London-based Poet Warrior Sam Way returns with a ghostly, cello driven, dark-pop song called Hard Feelings. It will be out on August 17th and marks the next chapter in his autobiographical tale. As soon as I heard that cello I knew I was in for a treat. The song is pure magic and here he showcases his beautiful musicality and powerfully vulnerable lyrics. I love his soothing, tender vocals, and yet he manages to have total control, his vocals are a masterclass in powerful minimalism. The song has inviting melodies and gorgeous harmonies and Fleur's vocals give the song an ethereal fragility that highlights the sentiment of the song. To seal the deal there are some gorgeous, delicate piano keys that made me surrender to this gem. Produced in east London by the Café Music team (Jon Hopkins – Imogen Heap) Hard Feelings is a song about love on the brink of failure, a relationship teetering on the edge, and ultimately a song that acknowledges, earnestly, how hard it is to let go, a sentiment that is heartbreakingly relatable. Stream it below! Having already garnered a sizable fan base in Turkey as well as reaching No. 8 in the UK singer songwriter chart in 2017, Sam is clearly no stranger to recognition. His powerful vocals imbued with sentiment and emotion have captivated listener’s worldwide, and his dulcet tones are set to continue through 2018 and beyond. With an ear for wonderful melodies, a mind for beautifully delicate lyrics, and an honest conviction to his craft, Sam Way - also a legitimate home grown (UK) supermodel - is a man about to make his mark. This release is the first of 3 singles to be released through indie label Animal Farm.